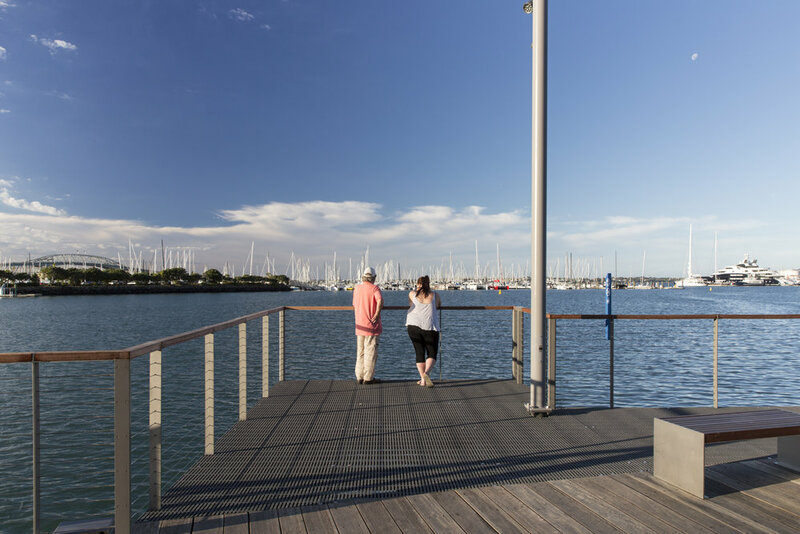 The spatial strategy for Westhaven Marina integrates its 'green' and 'blue' spaces to guide future development and integration of the proposed marina infrastructure, development potential, public access and walking/cycling transforms the marina into a multi-functional destination. 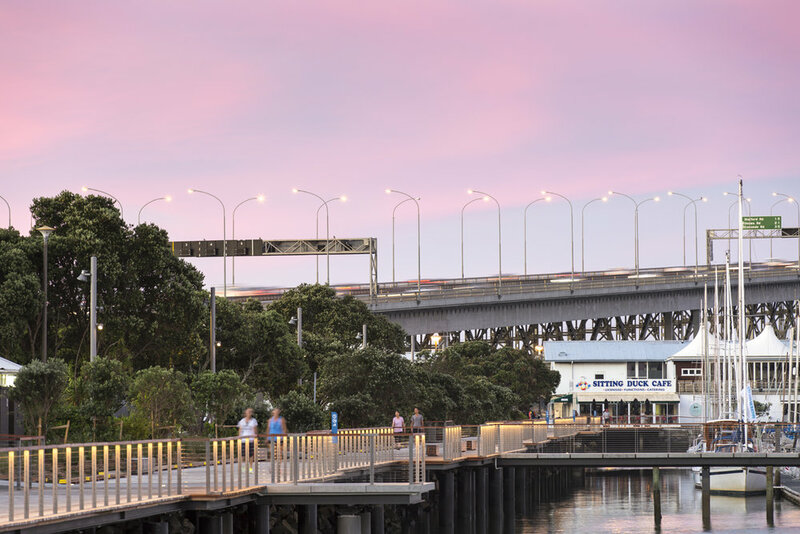 A 2km long 'shared use' waters edge promenade and associated public open spaces integrated within a complex and dynamic working waterfront context. 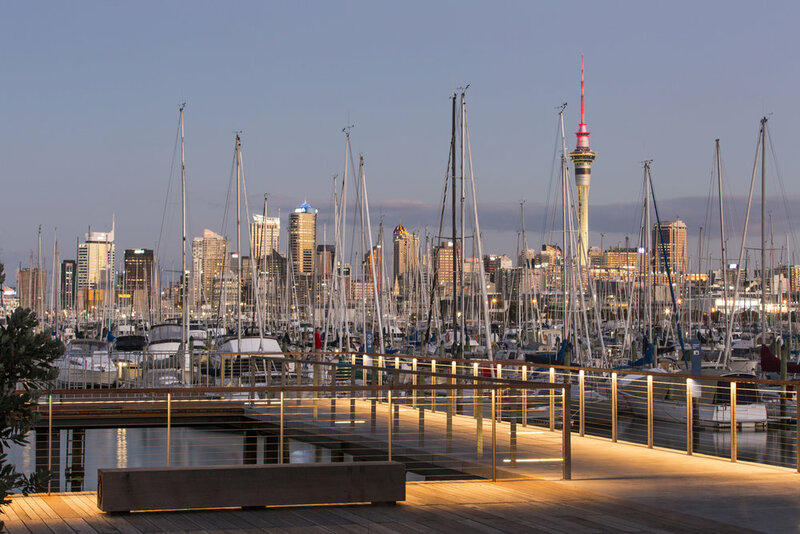 The project provides a continuous 'shared path' along the Westhaven foreshore between Wynyard Quarter and the Auckland Harbour Bridge including new waters edge open spaces, marina infrastructure and new coastal structures such as piers, observation platforms, look outs and the ecological enhancement of the coastal margin zone. The project has successfully merged together the existing working marina, land based activities and enhanced public access to a previously inaccessible waters edge. The promenade incorporates generous timber decking, bespoke seating and lighting. 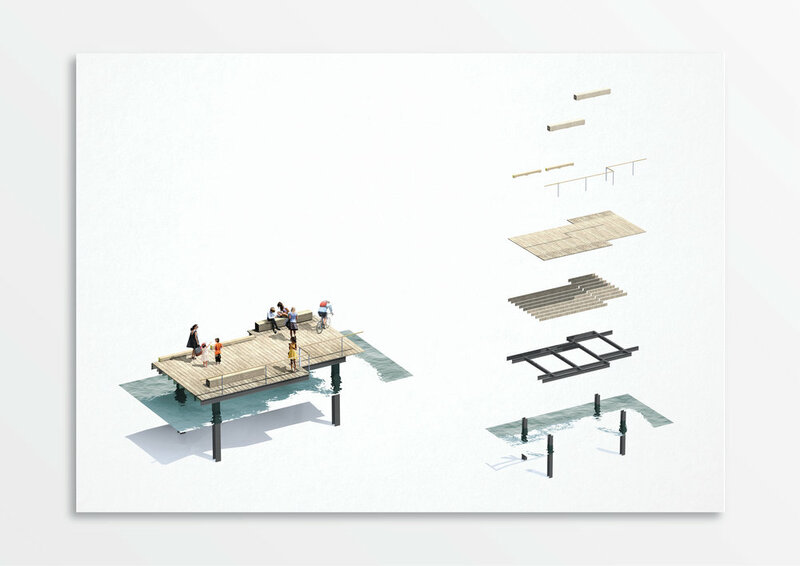 LandLAB_ have also worked with Waterfront Aucklands marina team to develop designs for new marina infrastructure including pier entrances, signage and the re-use of pontoons and platforms for public access.